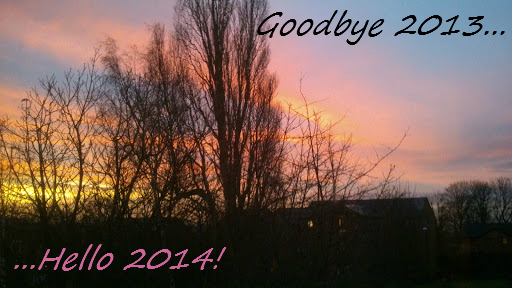 I hope you all had a lovely Christmas and New Year! 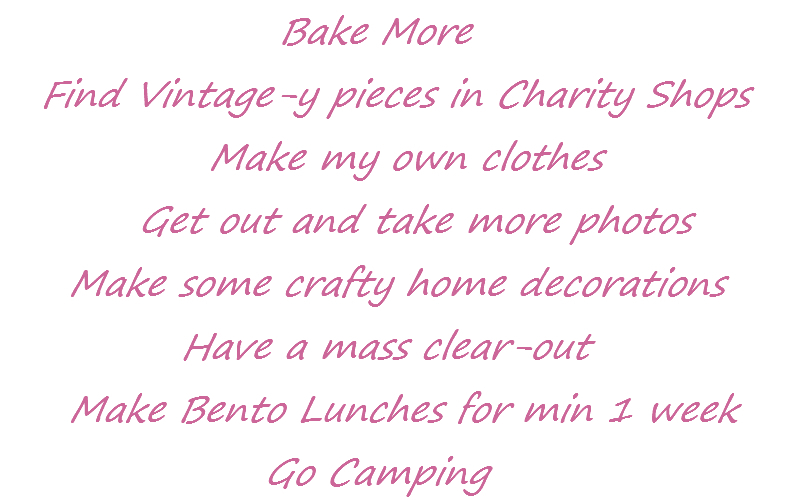 It's been a while since I posted, so I thought I'd share a few of the things I've been baking recently and what I'd like to do in 2014. I didn't mention in my last post, but I also entered the Christmas Bauble cake into a competition at Bolling Hall in Bradford. They were holding a Victorian Fayre which included a Christmas Cake competition. As I'd made the cake for the Renshaw competition the day before, I decided to take it along and enter it there too. I entered the cake and we enjoyed an afternoon at the Fayre. At the end, we went back to the competition tent and I was delighted to find that I had won the competition. 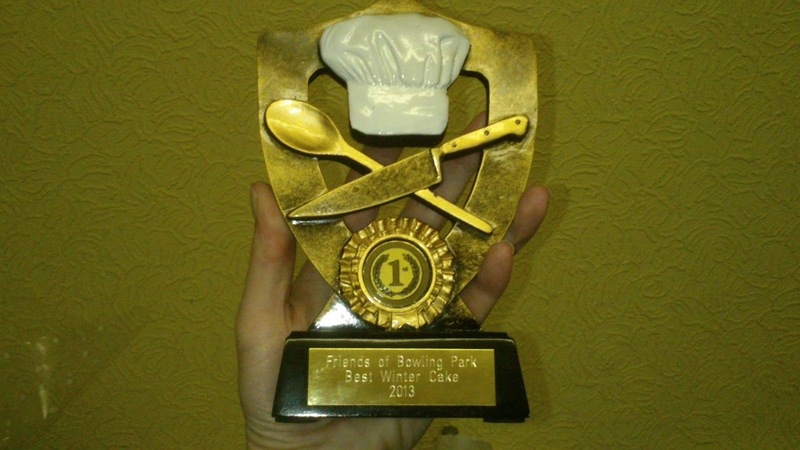 First Prize was a lovely trophy - I was really pleased! 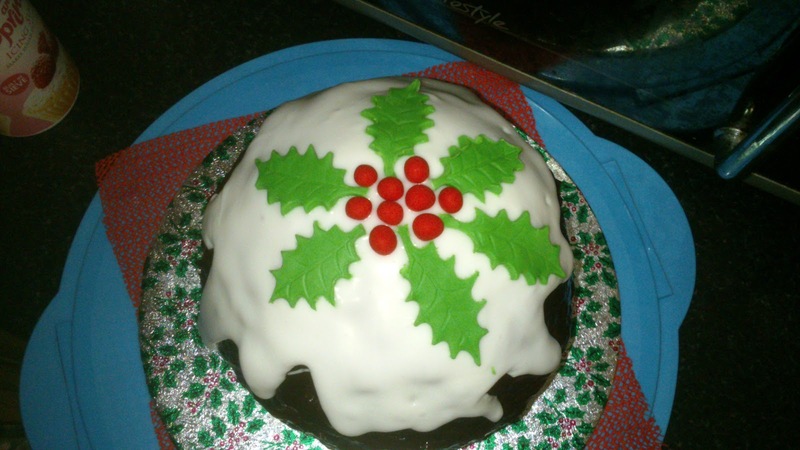 After trying out my hemisphere cake pans on the Christmas Bauble cake, I decided to make another round cake for Christmas Day. I'm really not a fan of Christmas Pudding, but the Mr really loves it! 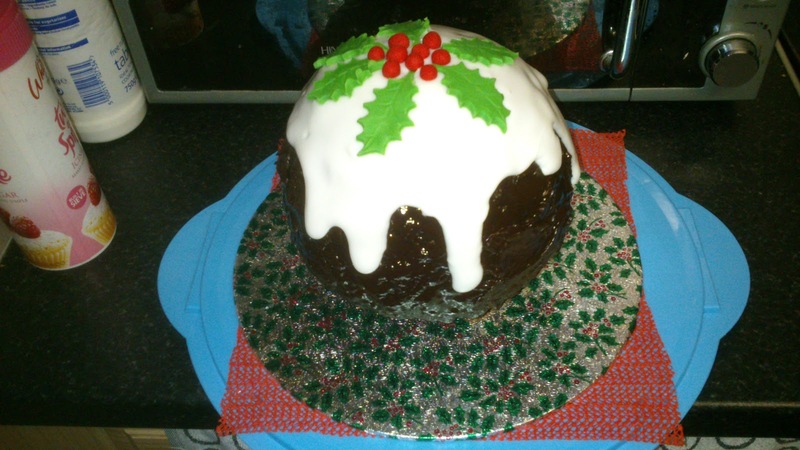 I decided to make a chocolate cake in the shape of a Christmas Pudding instead. The recipe I used was from my day at the Peggy Porschen Academy. 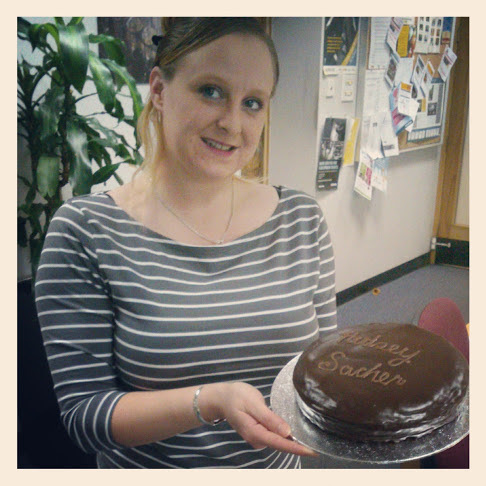 Peggy's Rich Dark Chocolate Cake is heavenly! It has a just cooked centre so it's lovely and sticky, and is sandwiched and covered in a dark chocolate ganache. You can find the recipe in Peggy's Boutique Baking book. I used the medium (6 1/2") hemisphere pan and a half batch of the recipe. After the first hemisphere had baked and cooled, I made up another half batch of the recipe and baked. The recipe is for a hot mix, so make sure the oven and tin are ready as it needs to go in immediately! I dropped the temperature to 130-140 fan and each hemisphere took about an hour and a half to bake. I had a bit of difficulty getting the cakes out from the pan due to the stickiness - it took a bit of persuasion but they survived fairly unscathed! After sandwiching and crumbcoating, I needed to pour the rest of the ganache over the cake. I was committed at that point though! Luckily, the ganache tasted normal and I think the slightly textured look helped with the overall appearance of the pudding - Bonus! I made a few holly leaves and berries and drizzled some water icing over the cake for a traditional look. Earlier in the year, I made a camouflage cake for a 15th Birthday. After some advice from Google+, I gave the cake a go. I made up a few shades of green icing along with some brown and black, and made blobs of different sizes. I then rolled the dough out and it created a camouflage effect. The result is really effective, but it was so difficult to move! It came apart a bit when I lifted it over the cake, so I needed to do a bit of patching up! Over Christmas, a few things I thought I knew about my food preferences changed significantly. I don't like Prawn Cocktail - Wrong! I've always loved prawn cocktail crisps, but I wasn't really keen on prawn cocktail itself. I had prawn cocktail on Christmas Day for the first time in years and it was really good - my opinion has definitely changed! I don't like Trifle - Wrong! The trifle we had was really good! Lots of satsuma etc segments, tangerine jelly, custard and dream topping topped with cherries and chocolate leaves. As a kid, I really disliked the soggy, boozy fingers in the bottom of the trifle, so the fruity version made a refreshing change! The lovely Mr bought me my own domain name for Christmas - I was so pleased! 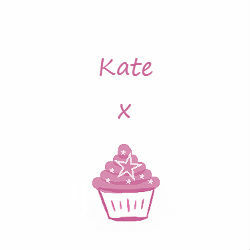 Gone now is www.cakesandbakesbykate.blogspot.co.uk and hello www.cakesandbakesbykate.co.uk! I've *tried* to clean up the layout a bit so I hope you like the update! I'm not really one for making New Years Resolutions, but there are a few things that I'd really like to do this year. Hopefully, sharing them here will give me a bit more incentive and motivation! Hello and welcome to Cakes and Bakes by Kate. I'm an amateur baker, based in Leeds, UK. I love animals, baking, cooking (especially Japanese food), decorating cakes, and playing the piano. I hope you enjoy following my journeys into baking and find my tips useful! Kathryn Livingston. All pictures and views my own unless otherwise stated. Social Media Icons courtesy of Carrie Loves, mapped using Image Maps. If you wish to use anything, please contact me.